One thing that every man should have as an EDC (Everyday Carry Essential) is a knife. You never know when you need to cut something, or even if you might find yourself in a survival situation. However, why not have something that adds style to you! Introducing the Ironwood Knife by Santa Fe Stoneworks! Stylish, beautifully crafted, and super sharp, the Ironwood is exactly what you need! 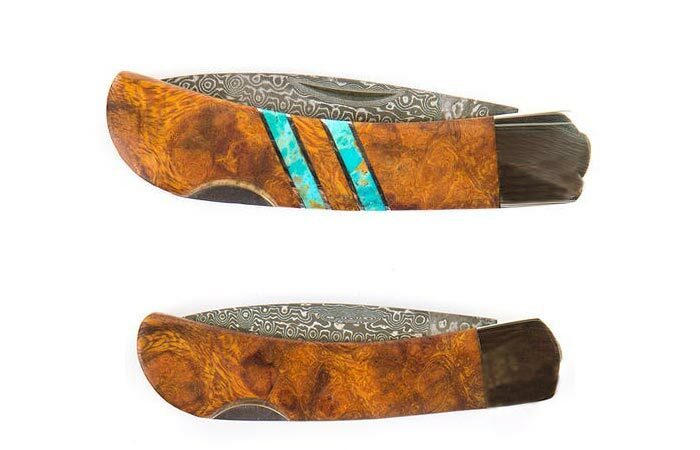 The Ironwood and Turquoise inlay combined with the Damascus steel blade makes for a truly outstanding blade. 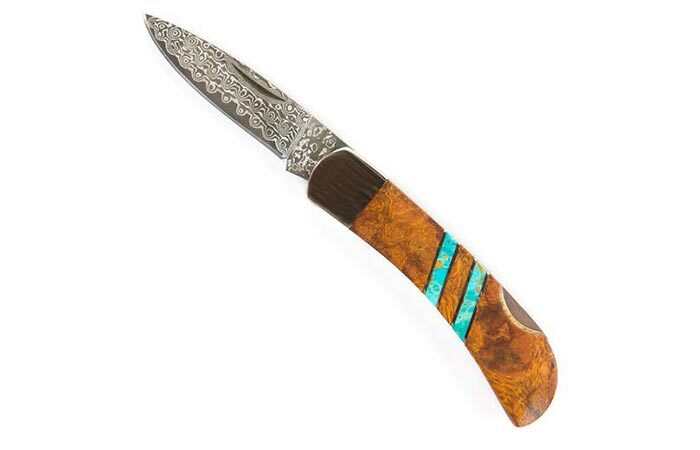 At first glance, you will notice the beautifully marbled Ironwood handle that has been inlaid with Turquoise detailing. The beauty of this knife is further enhanced by the stunning Damascus steel blade. In fact, the blade is comprised of 16 layers of stainless steel. Making it both beautiful and durable. Compact, yet strong, this knife truly is one-of-a-kind. It features a 3-lockback blade, that is not only extremely strong, but also features excellent edge retention. The Ironwood handle is also known to be one of the hardest and densest woods in the world. It has also been used by the Native Americans for centuries. The colors are also said to depict a perfect Southwestern desert sunset. Overall, it’s a beautifully crafted blade, that has been coupled with incredible strength. Definitely a stylish addition to your EDC kit.